Earthside Astronomy specialises in targeting our events to specific age groups. We have a special passion in inspiring the youth to take an interested in sciences through out interactive astronomy events (daytime and evening). We can setup our telescopes anywhere you have space, whether it be a backyard, school or local oval. 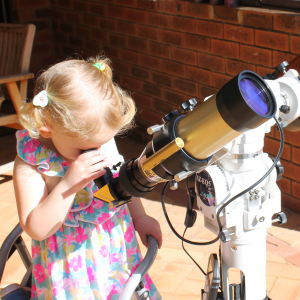 Through out the evenings telescope viewing we keep all participants active and involved with laser pointer sky tours and a series of interactive astronomy demonstrations designed to cover Australian School Curriculum outlines.